The club meets for practice on Monday evenings at 7.30 pm in the village hall where we use two mats and also play our home league matches. We play in the Bury and Suffolk Leagues and finished last season in third and fourth position respectively in the top division of each league. We also play in the Summer League. 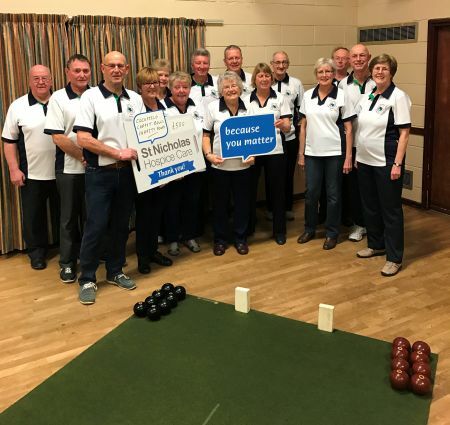 Although quite competitive, carpet bowls is a very sociable sport which enables us to visit most villages in the county and enjoy the “after bowls” provided by the host club. 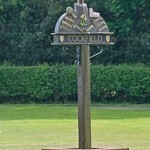 Many tournaments are run throughout the year, mostly in aid of charities, and Cockfield is usually represented. We hold our annual Cockfield Invitation Fours tournament in February in the village hall and donate the proceeds of the day to The East Anglian Air Ambulance Service as well as St Nicholas Hospice. In 2011 we raised £740 which were shared by these two charities. Quite often, we host the annual Bury League presentation dinner which is well attended and helps put Cockfield on the map for many people. We held our annual Invitation Tournament on February 18th in the Village Hall. There were 20 teams of 4 players in each team from all over Suffolk and Essex the winners being a team from Nayland. As well as the bowls we had a raffle, with over 60 prizes all donated by members, a tombola, guess the weight of the cake etc. Everyone enjoyed a hearty lunch and yummy cakes for tea. We made a marvellous profit of just under £1,000 which we donated £500 to St Nicholas Hospice and £500 to the Air Ambulance.